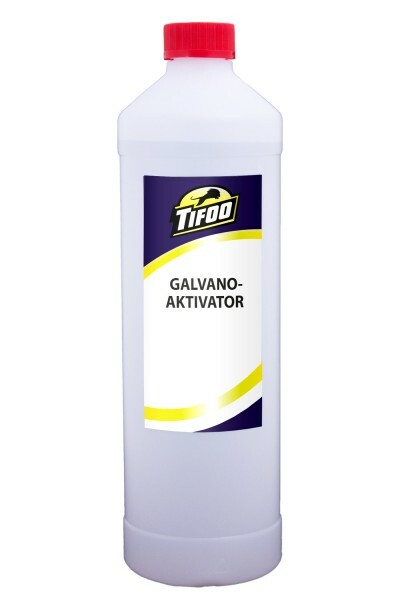 Product information "Galvano activator (1000 ml)"
The Tifoo Galvano activator is needed to prepare nickel, aluminium, stainless steel and chrome for electroplating. You just have to dip them shortly in and the surfaces will already be ready for electroplating. More detailed instructions can be found in the manual of the product. 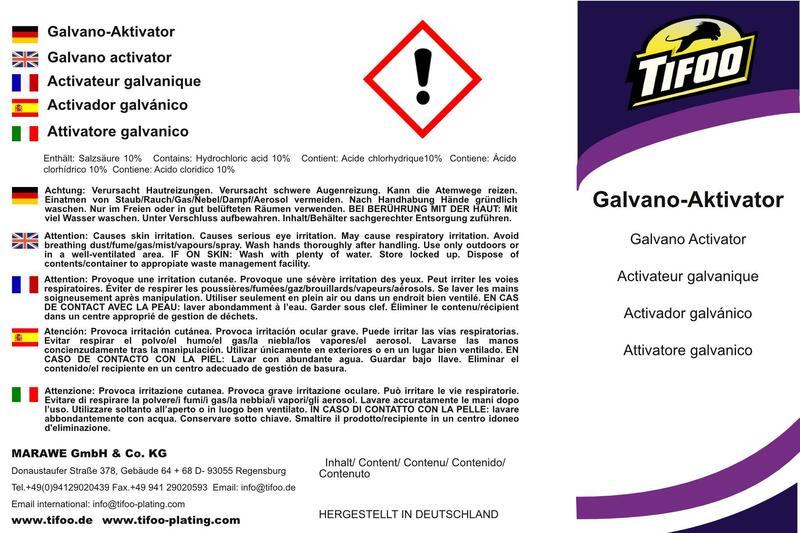 Related links to "Galvano activator (1000 ml)"
Instruction manual for Tifoo Galvano activator (1000 ml) as PDF file. Customer evaluation for "Galvano activator (1000 ml)"